I’ve just got back from Darjeeling. Every year I invite store managers to visit the plantations with me. I remember the beginnings of Palais des Thés. I spent the first three years of this great adventure in the shop, behind the counter, serving customers. At the time I’d never seen a tea plant. 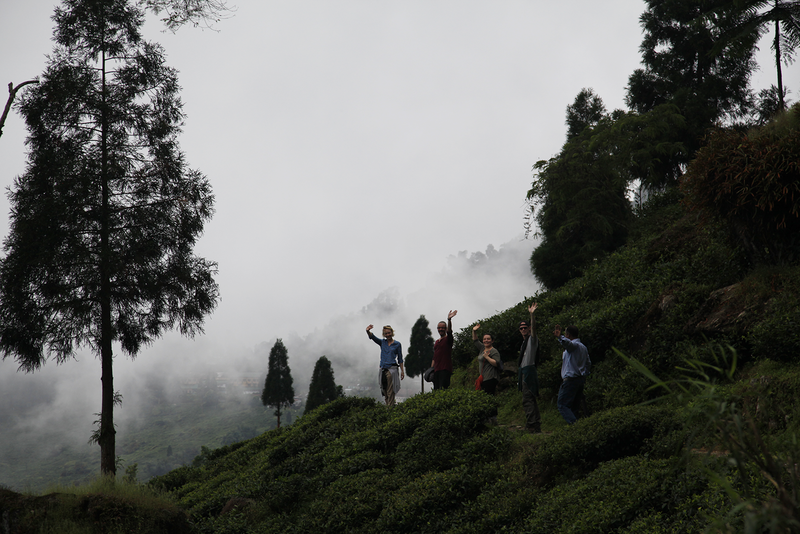 Then I packed my bag and set off to explore the tea mountains of China, Japan and India, followed by other countries. This experienced completely changed me and the connection I had with tea. Tea became my passion. This connection became strong, rich and powerful. My life changed. That’s why I want our store managers to have the same opportunity as I did, to discover tea in its natural surroundings, to meet the people who work with tea, from the pickers to the farmers and those who manufacture it. The opportunity to understand the climate, the soil, the varieties and the production methods. Tea is a whole world in itself, just like wine. You only need to alter one aspect slightly – a change in altitude or orientation, a less steep slope, a hybrid cultivar, a downpour during processing, or whatever – to give tea a different flavour. Nothing replaces hands-on experience. These store managers return with joyful hearts and wonderment in their eyes. Now it’s their turn to dream of those misty mountains, of the people they met, the smiles they exchanged. And above all, to share their dreams with their staff, their customers and the people around them. You have to experience tea to understand it.